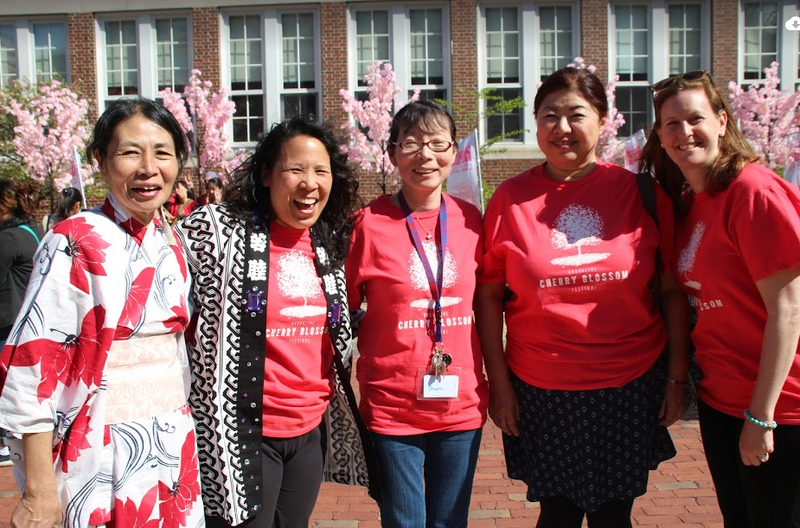 Launched in 2012, The Brookline Cherry Blossom Festival (formerly named Brookline Sakura Matsuri) began with a gift of cherry trees to Brookline High School from Mr. Hikihara the Consul General of Japan. This gift was in commemoration of the 100-year anniversary of the gift of cherry trees from Japan to Washington DC as a gesture of goodwill and friendship. The Genki Spark and the Brookline High School Japanese Program have worked together on this dynamic Japanese festival which draws audiences from as far away as Canada to Western MA, from Rhode Island to Newburyport. Loud and thunderous, in addition to food, games, and music, the festival's artistic draw is the region's only public taiko drumming showcase featuring taiko groups throughout New England.